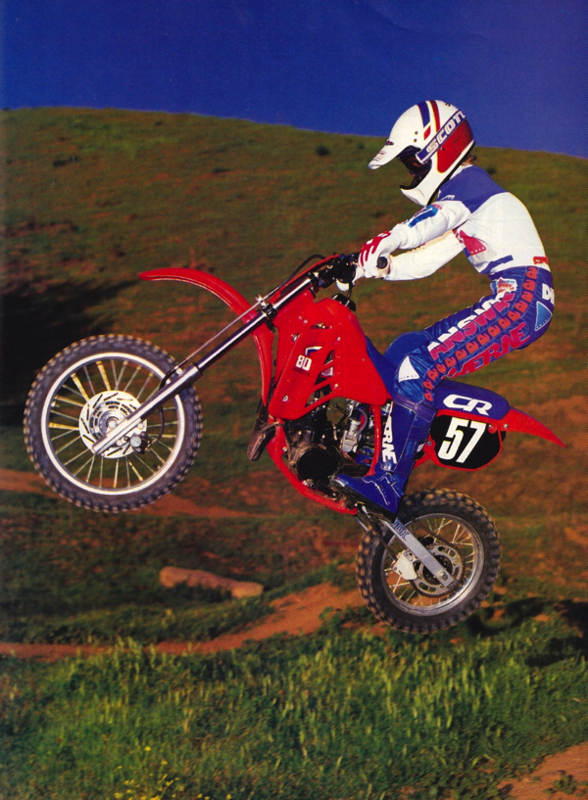 For this edition of Classic Steel, we are going to take a look back at the mini-bike class of 1987. 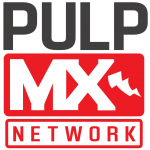 Today, the mini-cycle class is often an afterthought, but in 1987, it was one of the most hotly-contested divisions in motocross. Unlike the modern mini-class, where several of the bikes can trace their roots back to the first Bush administration, the mini-class of ‘87 was full of fresh blood and innovation. None of the contenders were more than a year removed from a major redesign, and all four offered powerful, liquid-cooled two-stroke motors, single-shock suspensions and disc brakes (up front). Although they lacked the cartridge forks and “power valve” motors of some of their larger siblings, they still pumped out more than enough thrust to terrify any unsuspecting adult foolish enough to take their diminutive size as an indicator of performance. The odd man out: KTM did offer a very trick 80 in 1987 (check out that USD fork), but all of the magazines chose to ignore it in their shootouts. Unfortunately, the Austrian brand would have to wait another 15 years for mainstream acceptance. For this edition of the shootout roundup, we are going to take a look at what the “Big Three” MX/off-road magazines publications thought of the “Big Four’s” mini-cycle offerings for 1987. 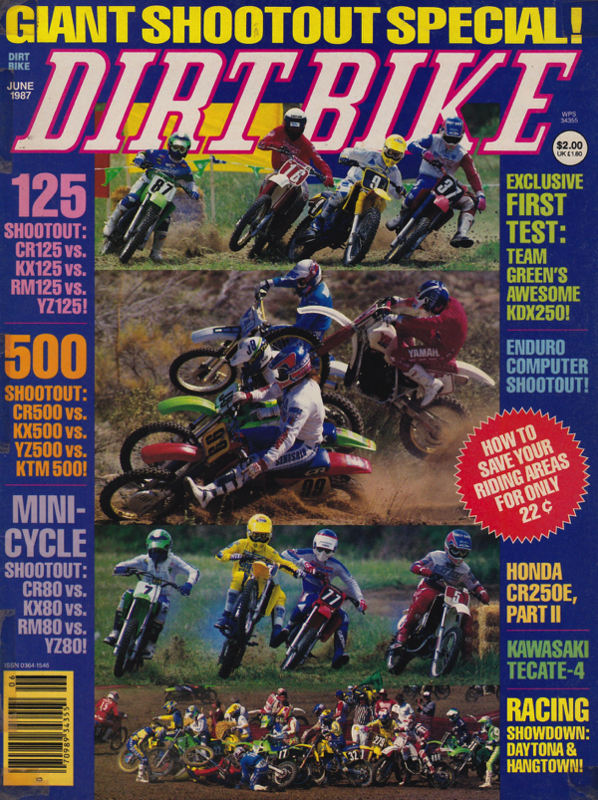 Motocross Action, Dirt Bike and Dirt Rider all held 80cc shootouts that season and ranked the top four mini-cycle contenders from Japan. One thing that was (and is) unique to the mini class is the incredible range of size and skill levels that tend to find themselves on minis. Because of this, most of the magazines picked a pro and novice winner in the 80 shootouts. Clearly, certain manufactures were aiming their bikes at specific markets and all the shootouts took note of that fact. Here are the top 80cc contenders of 1987. 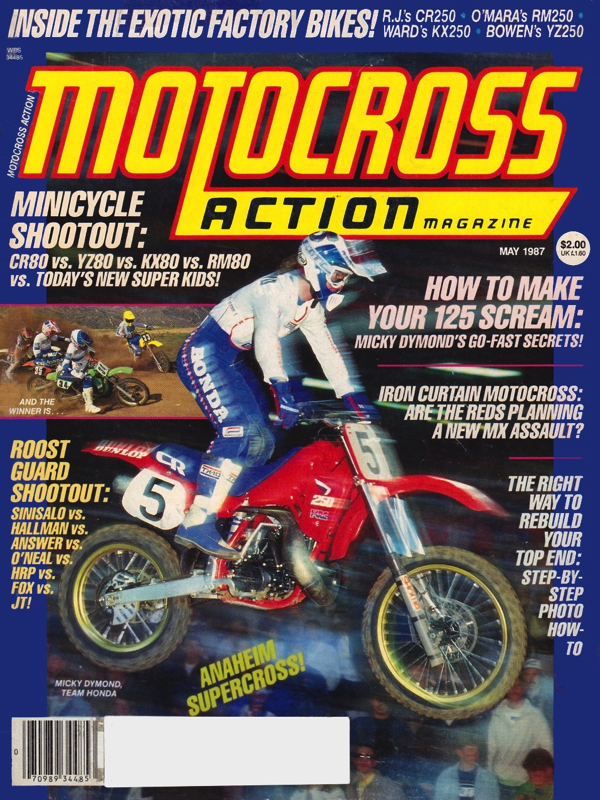 Micky Dymond graces the cover of MXA’s hotly anticipated 80cc shootout issue for 1987. Micky was soooo stylish, but man, that lame Hondaline gear could have made Kate Upton look like Ellen DeGeneres. Now this is how you promote a proper shootout! Front and center, with a nearly full-page spread. As a side note, a buddy of mine had one of those new KLR650 sleds in 1988 and I was foolish enough to take it out on our motocross track. I almost died…true story. OK, as much as I dug the Dirt Rider cover above, this Dirt Bike one is pure Shootout nirvana. 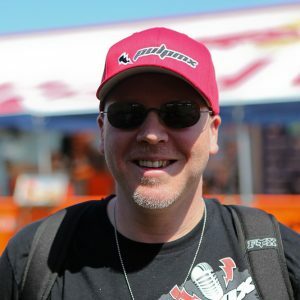 Off-road CR250R and KX250 mods, an 80, 125 and 500 shootout, Daytona coverage and a couch review? That, my friends, is content. 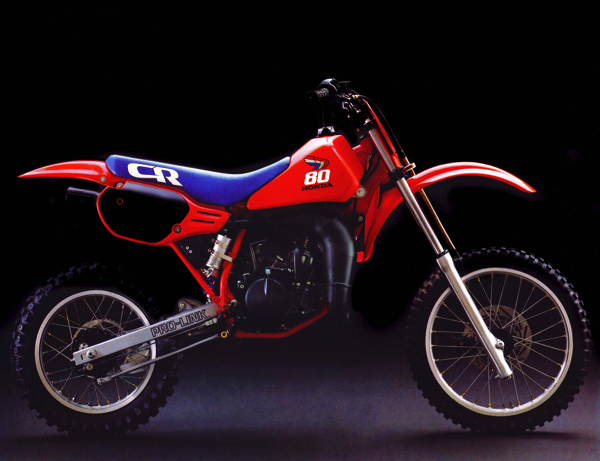 1987 Honda CR80R overview: In 1987, nothing in the 80 class was as fast as Honda’s CR80R. It flat ripped and was fast enough to put a hurting on all but one of the bikes in the 125 class (not so coincidentally, also a Honda). Even without the benefits of a power valve, the tiny 82.5cc motor pumped out nearly two more horsepower than any other bike in the 80 class. By producing one horsepower for every 4.4 cubic centimeters of displacement, the CR also claimed the honor for the highest specific output of any machine ever dyno’d by Dirt Rider (up to that point). While 20 horsepower does not sound like a lot, if you extrapolate that kind of output per cc to a modern 450 it is pretty eye opening. With that kind of specific output, a 450F would be pumping out over 100 horsepower! Clearly, Honda knew what they were doing with this little pint-sized rocket. Because of the CR’s horsepower advantage, the Honda proved a favorite of experts from all three magazines. It was head-and-shoulders faster than the other machines and rewarded an expert rider with power to clear nearly any obstacle. While this was a major win for fast guys, the CR could be a real handful for novices. Its abrupt power was enough to loft the front end out of every corner and grabbing a handful of throttle on the face of a jump was a recipe for a nice loop-out. While the power was perfect for pint-size throttle-jockeys, the suspension was in need of a little fine tuning. Up front, the forks were plush at slow speeds, but prone to bottoming on big hits. The shock, on the other hand, was stiff and set up for speed. This gave the bike a very unbalanced feel in the rough. In turns, the soft front end helped the bike carve a tight line, but only made the CR’s penchant for headshake more pronounced. Overall quality was excellent on the CR, but there were a few quibbles. More than a few units suffered seizures (including Dirt Rider’s test unit) and the CR liked to chew through pistons and rings at an accelerated rate. If you let it go too long between services, the CR tended to get really ratty, really fast. Broken brake shoes were also an issue, and more than a few rear hubs were destroyed when the shoes decided to disintegrate mid-moto. In the end, it came down to this: the CR was a pro-level bike that required a pro-level maintenance schedule. If you had the skill and commitment to use its power and keep it in one piece, it was a potent motocross weapon, but if you were less dedicated, there were probably better choices. 1987 Yamaha YZ80 overview: In 1987, the YZ80 offered by far the most novice-friendly package in the class. 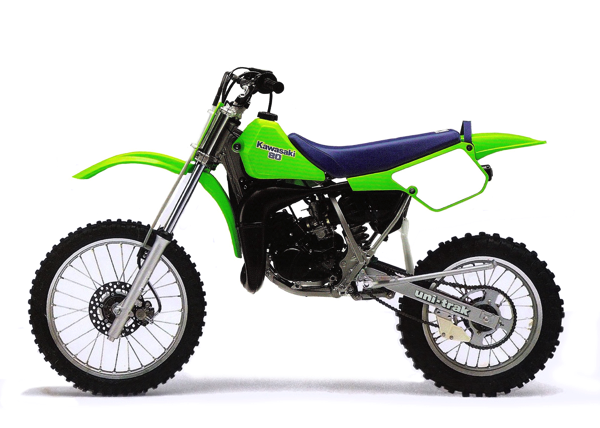 Its seat height was the lowest (over two inches lower than the big-boned KX80), its power was the least aggressive and its overall ergos were the least spread out. 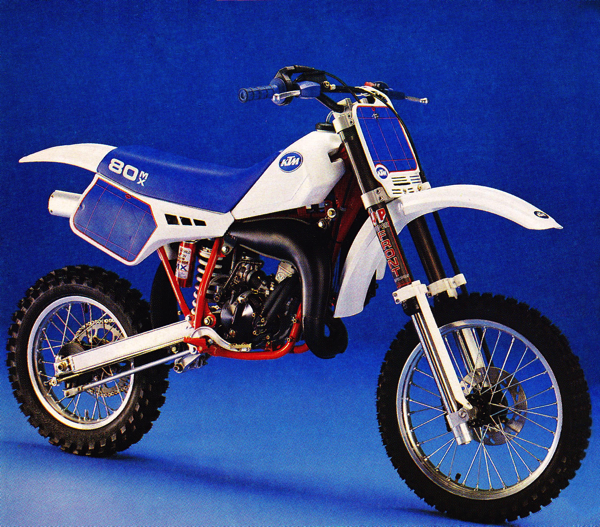 In terms of outright performance, the YZ was not really a great motorcycle. Its powerband was mellow, but narrower than the others, and its handling was decidedly stodgy (you don’t want to scare junior with any of that sketchy headshake business) compared to the shredders in the class. Neither suspension end was particularly great either (harsh up front and underdamped in the rear) and the bike would need major massaging to accommodate someone of even moderate skill. Overall, the YZ was a good choice for riders too small, or too inexperienced for the other brand’s offerings. It was kinda slow and a bit cramped, but less likely to scare junior back to T-Ball than hot rods like the CR. 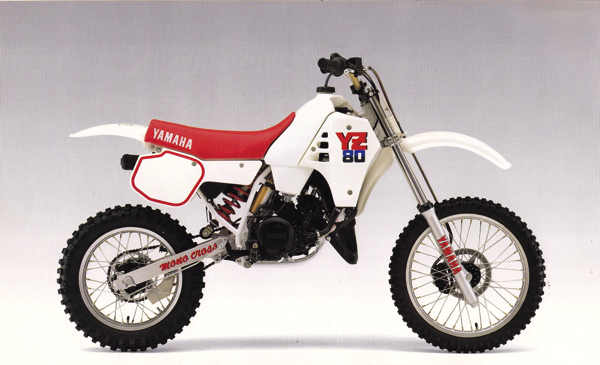 If you fit that demographic, the YZ was likely to be your cup of pre-mix. 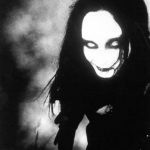 If, however, you were fast, or on the backside of a growth spurt, you were likely to find its limitations less appealing. 1987 Suzuki RM80 overview: Somewhere between the extremes of the scary-fast Honda and the munchkin-friendly Yamaha sat Suzuki’s entry, the RM80. Redesigned in 1986, the RM featured a roomy layout, excellent suspension and a sweet-handling chassis. Larger than the cramped YZ, but not as tall and long-feeling as the KX, the RM fit in a nice sweet spot of mini pilot size. Because of its “tweener” size, the RM could accommodate both young kids and teens trying to squeak out one more year on the minis without too much hassle. Even though its 33mm KYB forks were a bit small (most of the competition had moved on to beefier 35mm legs), they still offered the best damping in the class. Out back, new needle bearings eliminated most of the 1986’s stiction issues and gave the RM the best shock in the field. In spite of the small forks, the RM offered a great-handling package with the best combination of turning and stability. While most riders had no issues with the forks, fast guys did complain about flex and wished for the sturdier sliders of the CR or KX. Braking was also a weak spot, with the RM’s front disc/rear drum combination offering the least power in the field. On the motor front, the RM was competitive, but not a standout. It offered a strong midrange and decent over-rev, but not a lot of torque (even for an 80). If you let it fall off the pipe, it was likely to cost you a lot of clutch fanning and maybe even a downshift or two to get it back going. While this was not as intimidating as the CR’s hard hit, it could be equally frustrating for less-skilled riders to manage. Overall, the RM was great machine for riders who favored handling and suspension over outright power. In a class where many of the participants are just learning the basics, ease-of-use often can take priority over pure performance. In this case, the RM’s overall competence and Goldilocks size made it an attractive choice. If it had had the Honda’s motor, it would have romped, but as it stood, it was the second-best choice for most riders below the expert class. 1987 Kawasaki KX80 overview: Redesigned in 1986, the KX80 received some minor upgrades for 1987 aimed at bringing back the class-winning power it had in 1985. While still not the mid-range mauler it once was, the 1987 KX did offer an improved power profile over the pro-only ’86 incarnation. Low end power was still sorely lacking, but there was an improved midrange to go with its long pull on top. While overall power output was considered competitively sufficient, the KXs delivery was more polarizing. The powerband offered a slower-revving feel that could make it seem sluggish at times. There was also an odd vibration and sound from the motor that raised eyebrows on those not accustomed to its unique traits. The KX’s slower-revving feel did make it less intimidating than some of the other bikes at first, but most fast guys wanted the motor to pick up quicker out of turns. 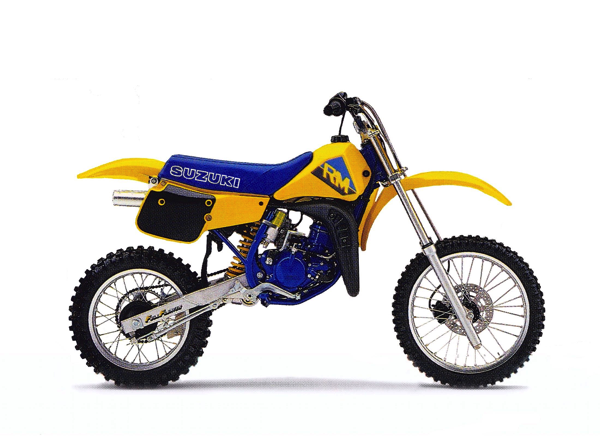 The chassis and layout continued to be larger than the others and the KX offered the tallest seat height in the class. This made the KX a good fit for older kids, but a stretch for ones coming right off of 60s. The suspension used beefy 35mm forks and a bottom-link Uni-Trak to provide a well-controlled ride. Both the spring rates and damping settings were well-suited to the larger mini pilots likely to be drawn to the KX, but lighter and slower riders were likely to find it a bit stiff at times. While the overall layout was large, the ergonomics on the KX were slightly odd compared to the other machines. Many riders felt the bars were too far back in relation to the footpegs and KX took a bit of time to adjust to. 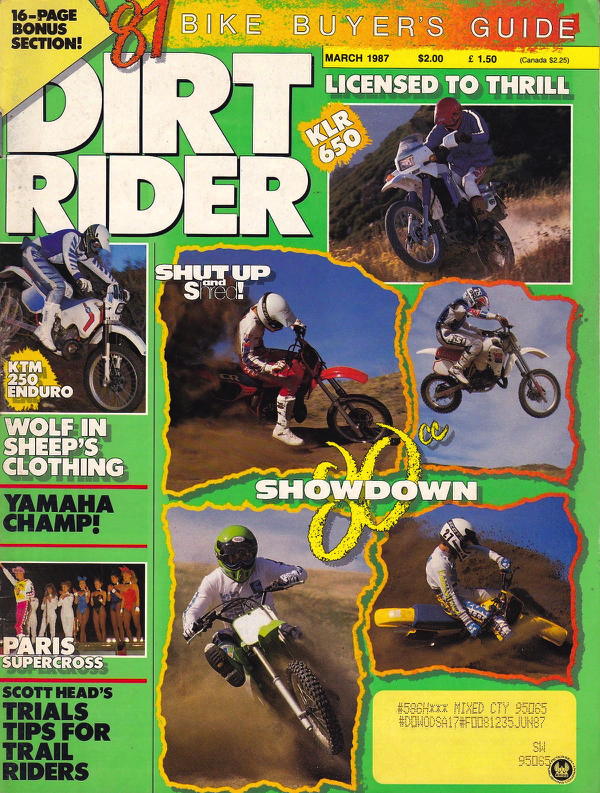 Handling was much better than ’86, but the KX remained no corner carver. Stability was good though and the bike tracked straight in the rough. Component quality on the KX was not great, with brittle plastic and easily-stripped nuts and bolts throughout. Motor reliability was also an issue, with several KXs (including Dirt Bike’s test unit) suffering seizures at the exhaust port. Aware of the problem, Kawasaki published bulletins recommending KX owners have the exhaust port chamfered to prevent catching a ring. On the plus side, the KX offered the strongest brakes and the easiest-to-service airbox. 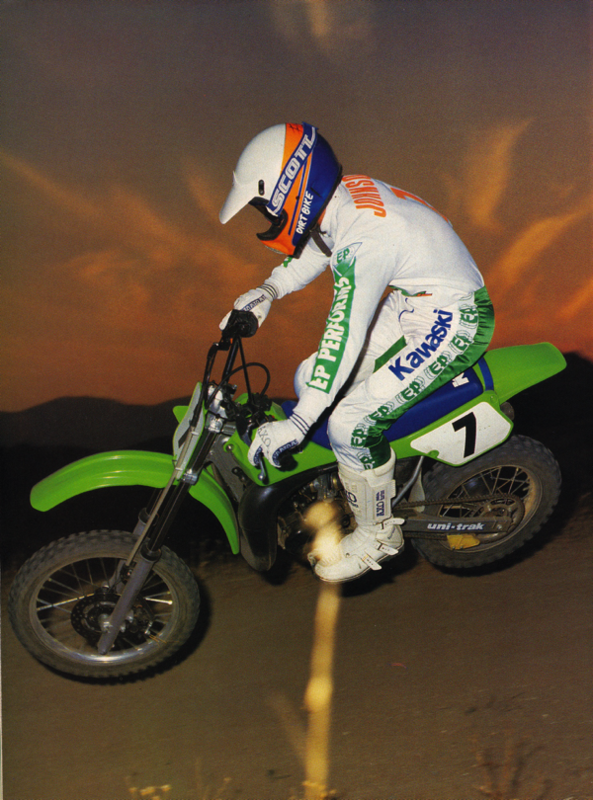 Overall, the KX was an acquired taste that catered more to larger and faster riders. Its top-end-focused motor required skill to make the most of and its suspension and layout favored a larger pilot. If you fit that bill, it was a good choice, but if you were small or a novice, you were likely to be happier with the RM or YZ.